The United States Federal Trade Commission and Qualcomm have both presented closing arguments over the contentious 'no license no chips' policy —and the ultimate ruling will alter the trajectory of Apple's legal battle with the chip manufacturer. The trial arguments that have taken the better part of January concluded on Tuesday, ahead of schedule. Closing arguments from both the Federal Trade Commission's battery of attorneys, versus Qualcomm's array were heard. 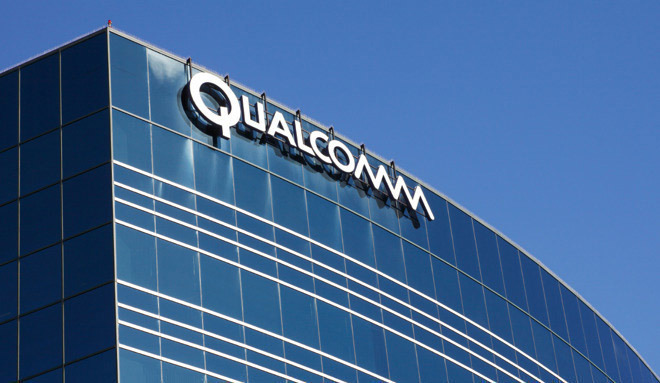 "The evidence is overwhelming that Qualcomm engaged in exclusionary conduct," said FTC lawyer Jennifer Milici. "The effects of Qualcomm's conduct, when considered together, are anticompetitive." For it's part, Qualcomm defended the "no license no chips" policy not by asserting its legality, but instead claiming that there was no proof that it had hurt device manufacturers at all. Frequent spokesperson for Qualcomm, and head attorney Robert Van Nest led the closing arguments. Judge Lucy Koh heard the case, and expressed her characteristic exasperation with both parties during the trial, as she did during the Apple versus Samsung matters. She warned that given the complexity and the stakes, that her decision would take longer than normal, according to the Wall Street Journal. The FTC's lawsuit dates back to 2017, and accuses Qualcomm of antitrust violations by forcing chip buyers to sign patent licenses at inflated rates. The Commission rested its case on January 16. Qualcomm has defended its practices by a number of means, for example pointing to the high cost of innovation. Apple has called the chipmaker's demands "onerous," at one point asking Apple to cross-license all of its intellectual property to get a direct license for standards-essential patents, something it decided to eschew. Apple's Chief Operating Officer Jeff Williams recently revealed that Apple wanted to return to a mix of Intel and Qualcomm modems for 2018 iPhones, but was shot down by Qualcomm CEO Steve Mollenkopf. The two companies have been engaged in a global legal war since 2017, instigated by Apple, which sued over nearly $1 billion in rebates allegedly withheld as retaliation for cooperation with antitrust investigators.